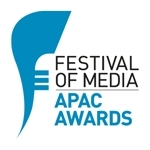 SINGAPORE, Sept 26, 2011 - (ACN Newswire) - The Festival of Media Asia has named ACN Newswire as the official news distributor of the annual event, to be held this year at the Marina Bay Sands Hotel, Singapore, from the 13-15 November. The event is expected to spark conversations and provide insights into the rapidly evolving media and marketing industry as a whole and the scenario in the Asian region, which is expected to soon overtake Western Europe as the second-largest advertising market. Repeating its successful model from The Festival of Media Global, the main conference stage will share the media innovations of local talent. Marked as the most important event for the region for the influential marketers, media owners and media agency networks, the two-day Festival will combine a high-level conference, exhibition, networking sessions, and will culminate in The Festival of Media Asia Awards. The Awards celebrates the very best in media and communications across Asia. Since its inception five years ago, The Festival of Media has doubled in size and established itself firmly on the media industry's calendar. The Festival of Media Asia is jointly organised by C Squared and Lighthouse Independent Media, the publishers of Marketing Magazine in Asia. The Festival of Media Asia will be located earlier in the year returning to Singapore on 3-5 March in 2013. The Festival of Media Asia will be the premier marketing and media event dedicated to communications professionals across the Asian market. Uniquely positioned to bring together Asia's most influential marketers, media owners and media agency networks, the 2-day Festival will combine a high-level conference and exhibition with networking sessions and a unique awards ceremony. Taking place at the Marina Bay Sands Hotel, Singapore, 13-15 November 2011, the event will provide the opportunity to share best practice and celebrate achievements in media innovation within the Asian context. www.festivalofmedia.com/asia. C Squared is a business publishing and information company that serves the global media and marketing industry. Since the launch of its first international industry publication - Cream - in 2005, C Squared has grown twelve-fold and, though still headquartered in London, over half the Group's turnover now comes from outside the UK. Across C Squared's portfolio of market-leading magazines, websites and conferences, it has readers, subscribers, visitors and clients from over 50 countries and produces successful events on every continent - from New York to New Delhi; from Valencia to Vilnius and from Amsterdam to Accra. www.csquared.cc. Lighthouse Independent Media is the publisher of Marketing magazine, the highest circulating, widest reaching, most read and longest running publication for advertising and marketing professionals in Asia Pacific. With magazines, websites, e-news bulletins, event services and a print readership of more than 100,000, Marketing is trusted across Asia Pacific for its innovation, editorial integrity and accuracy. Launched in Singapore in 2002, the publication now operates in three key markets across Asia Pacific; Singapore, Hong Kong, and Malaysia. With localised content and event formats designed for a regionally connected audience, Marketing magazine is the authority on advertising, marketing and media intelligence in Asia Pacific, reaching more advertising and marketing professionals in the region than any other competitor publication. www.marketing-interactive.com.